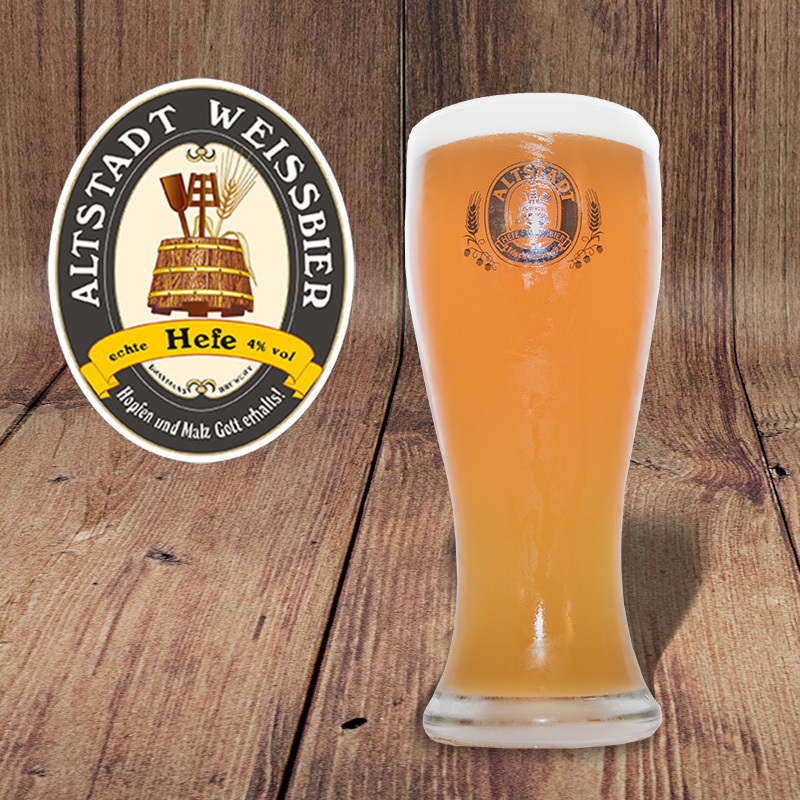 Altstadt Weissbier has a very rocky, brightly white head deriving from a high proportion of wheat malt. I believe that the drinker himself should decide whether to enjoy his Weissbier with a slice of lemon or not. The lemon surely accentuates the crisp acidity of the wheat beer as well as visually highlighting the refreshing character of the drink. Weissbier is traditionally known for its highly carbonated,refreshing character. 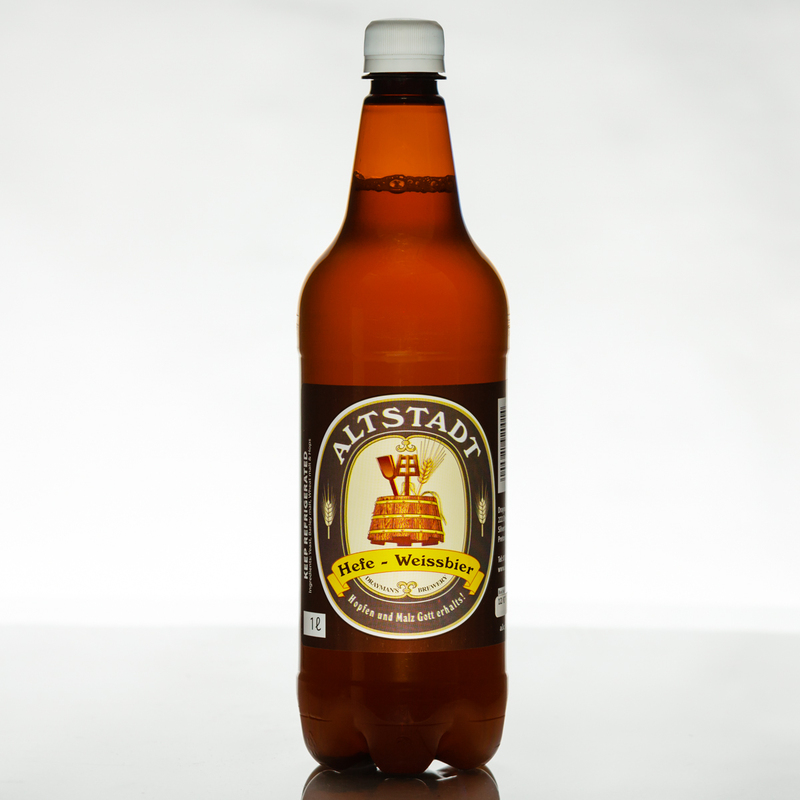 Altstadt Weissbier has a very rocky, brightly white head deriving from a high proportion of wheat malt. I believe that the drinker himself should decide whether to enjoy his Weissbier with a slice of lemon or not. The lemon surely accentuates the crisp acidity of the wheat beer as well as visually highlighting the refreshing character of the drink. If you are familiar with the famous Weissbier brewery names like Erdinger, Paulaner, Franziskaner and Schneider to name a few, you will realize that you are in the company of seriously traditional Weissbier! You might think that it is impossible for a South African to brew this Bavarian style wheatbeer – that is until you taste a tall frothy Altstadt Weissbier. Part of the secret is using the original Bavarian wheatbeer yeast strain that not only defies gravity, but also imparts a faint clove and banana flavour to the beer. 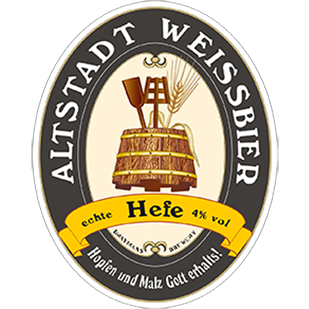 “Hefe” in the logo means “with yeast” and that the yeast stays in suspension, giving the beer a hazy appearance. Weissbier is a beer worthy of the title Connoisseur Beer for those who are passionate about beer.